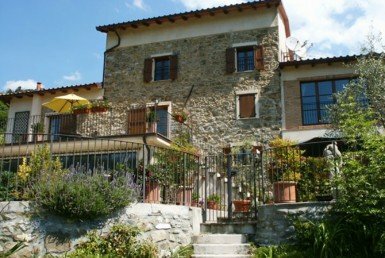 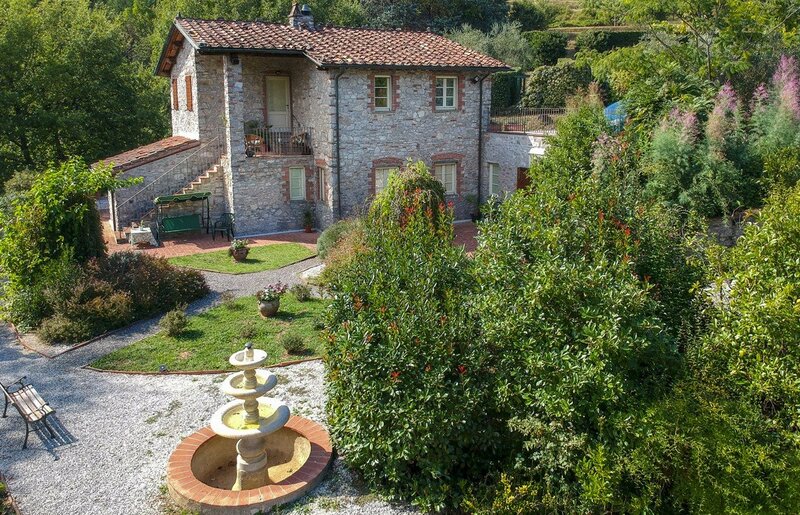 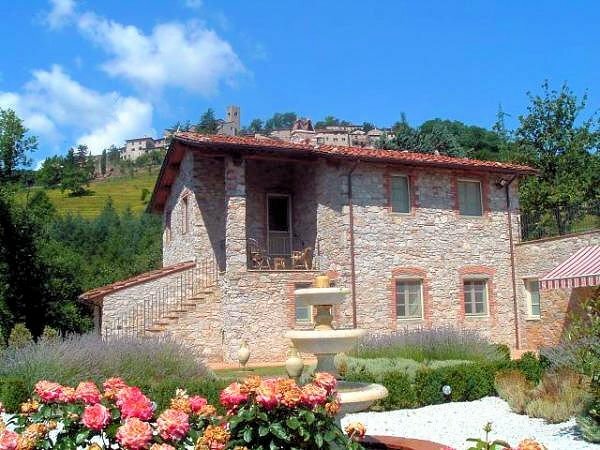 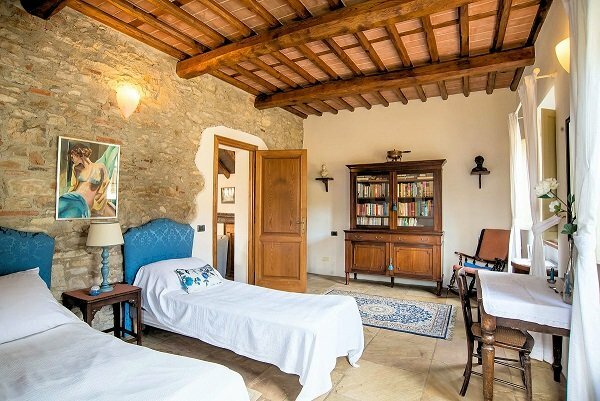 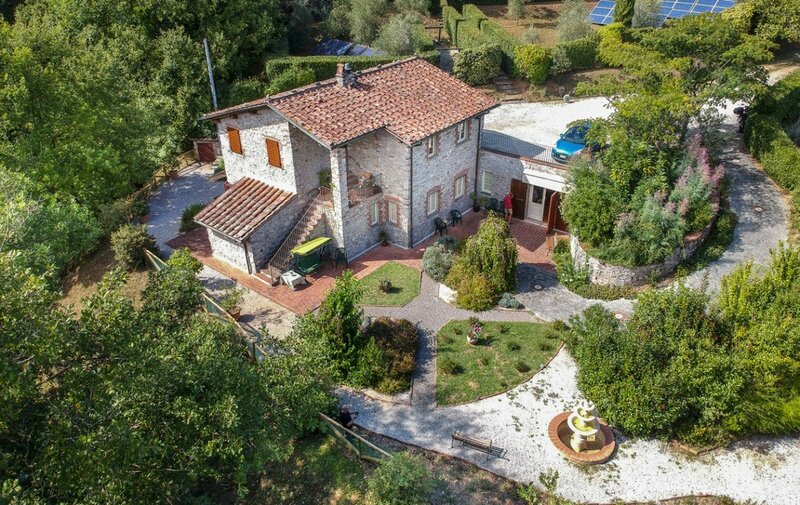 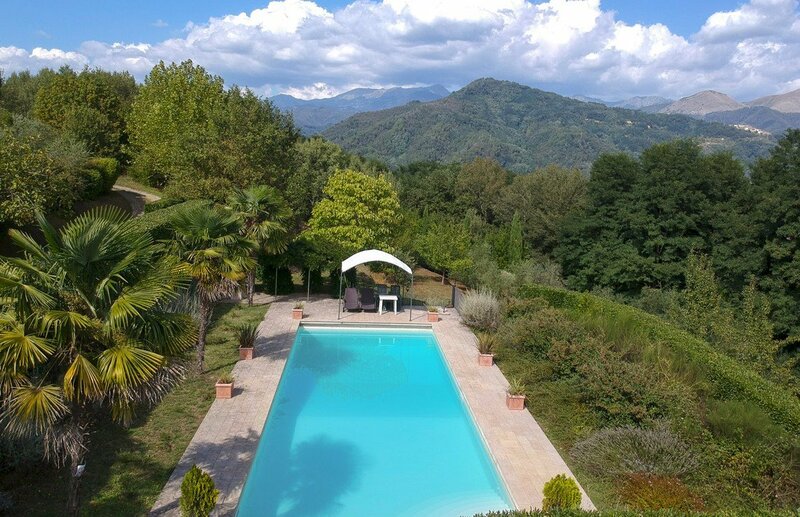 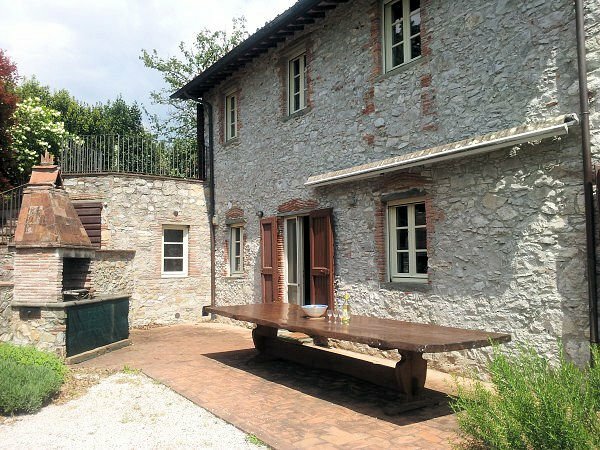 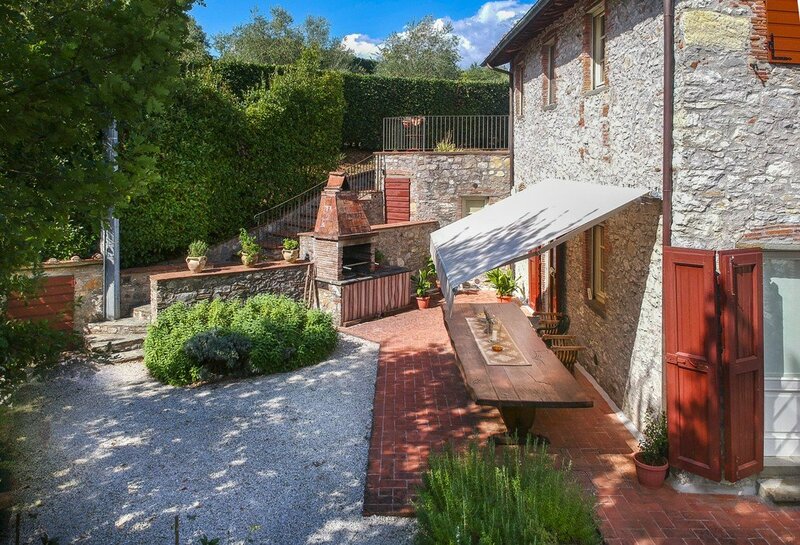 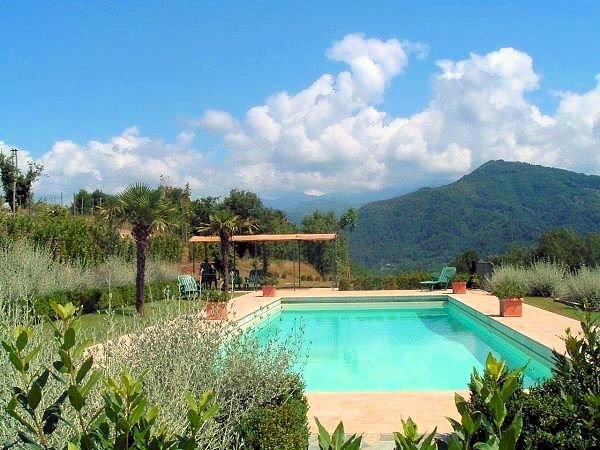 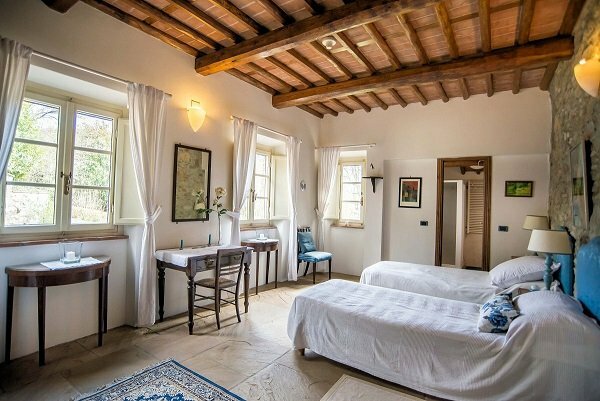 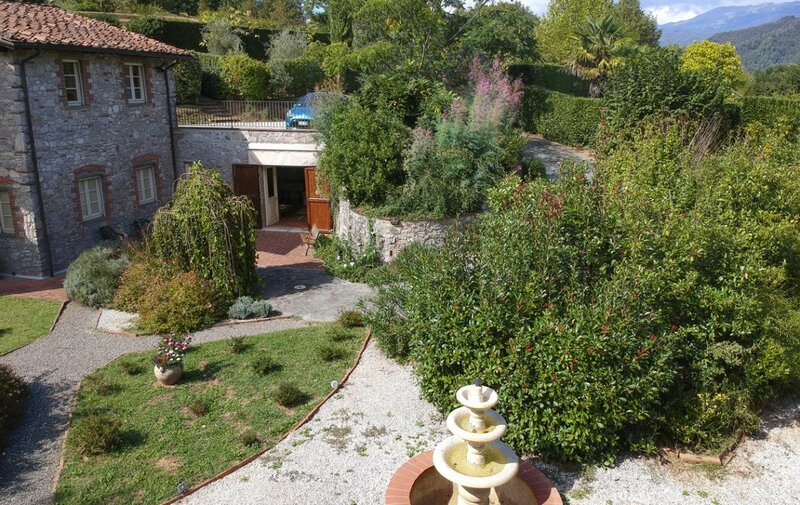 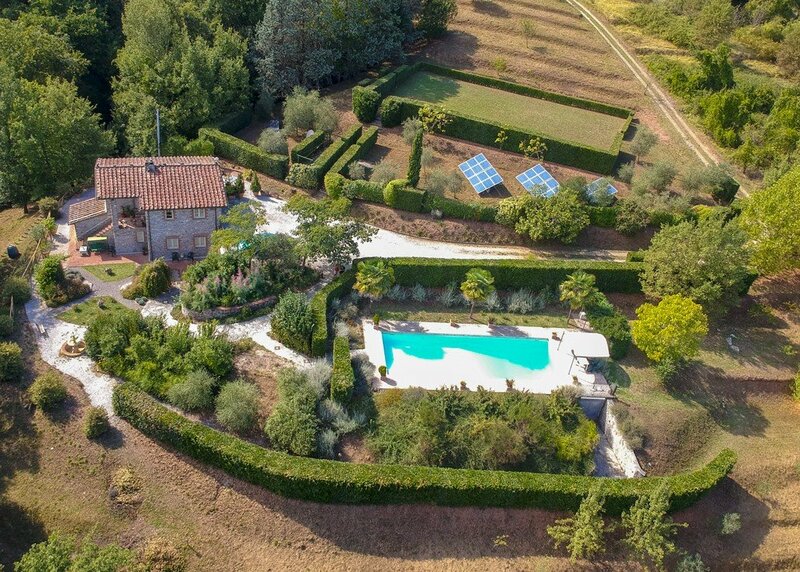 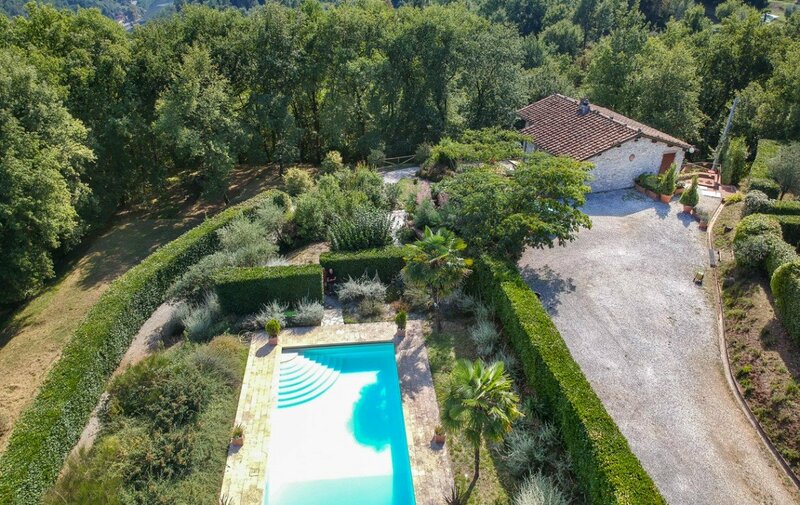 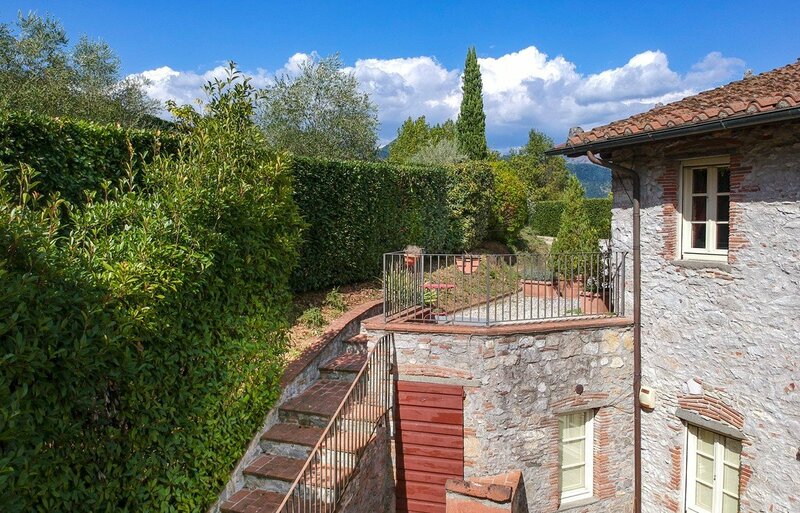 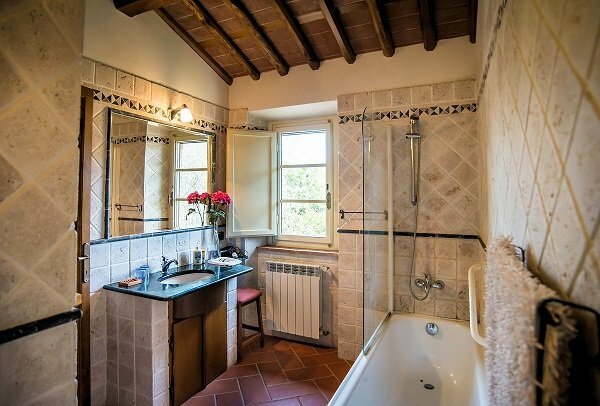 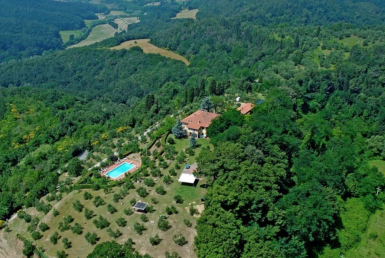 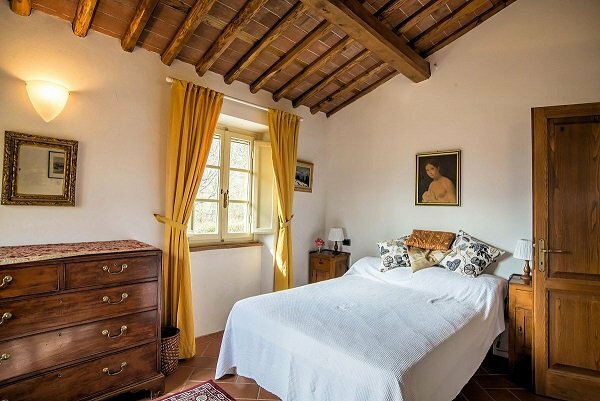 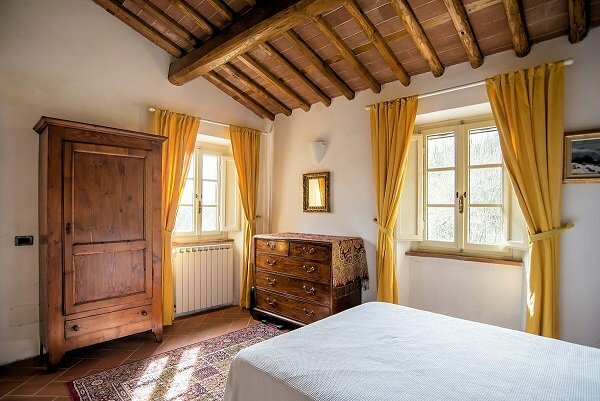 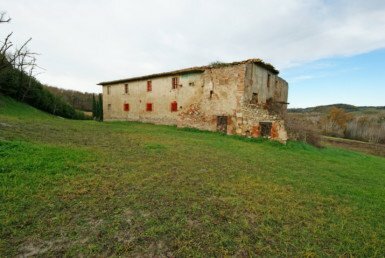 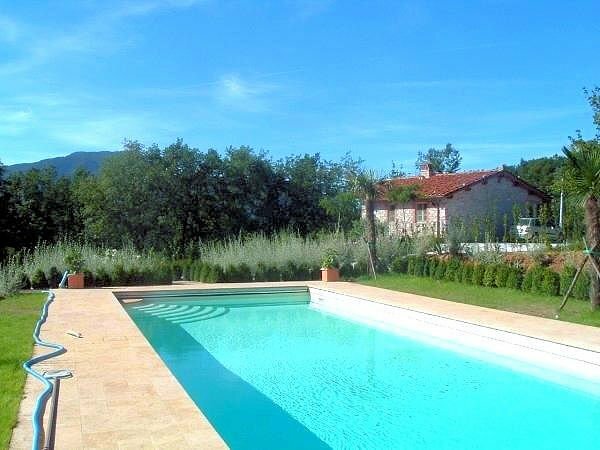 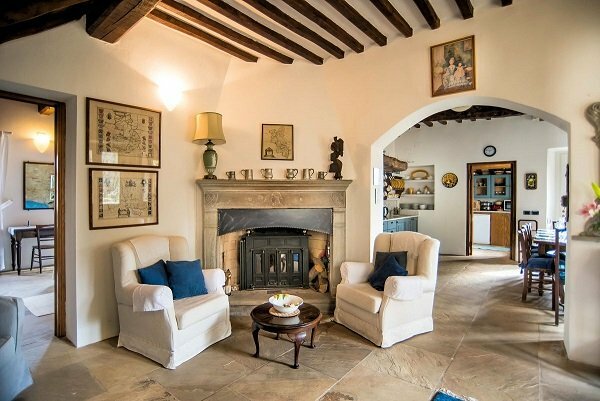 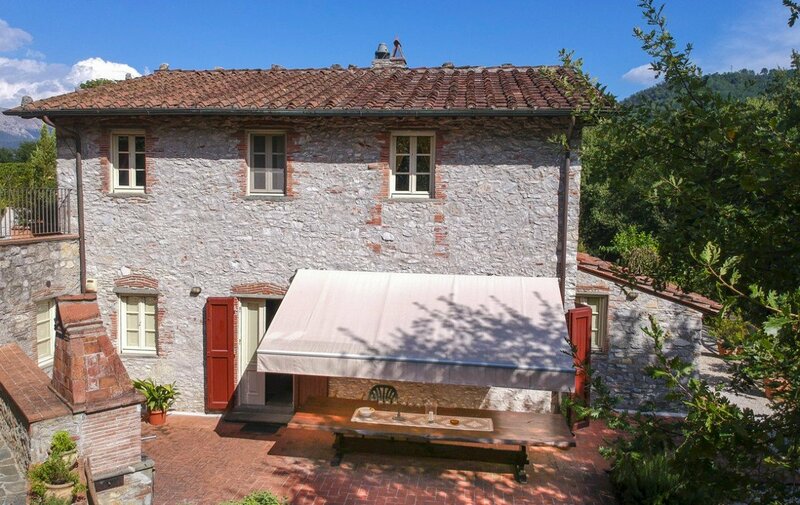 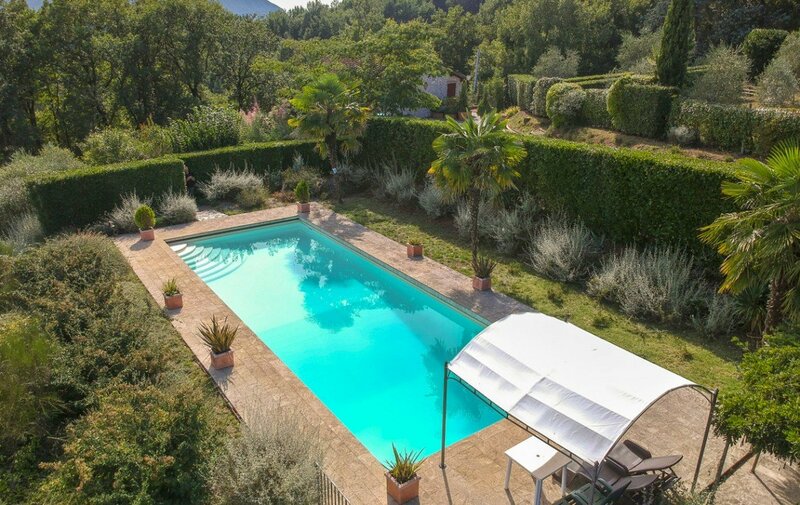 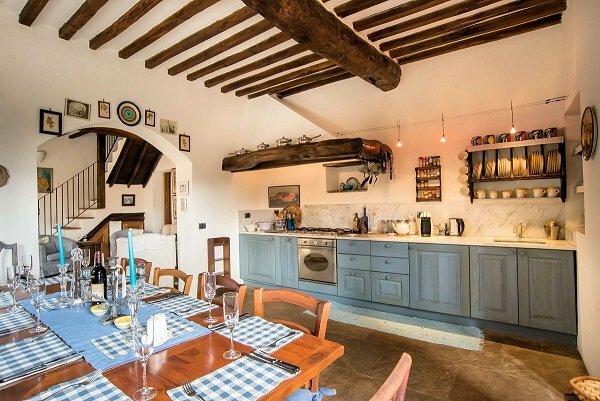 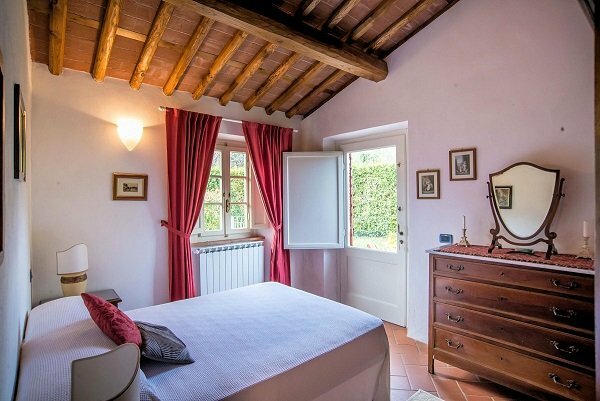 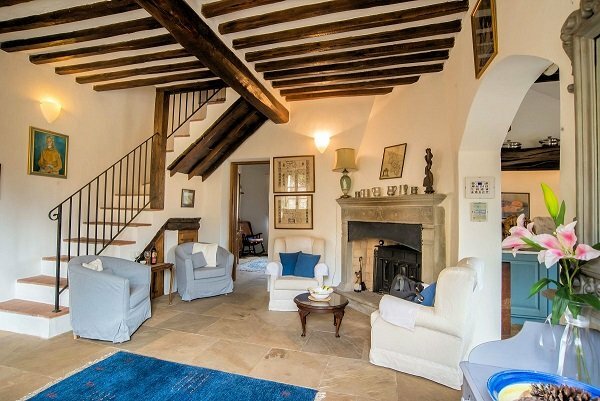 Wonderful country house on 2 floors, for a total of about 195 sqm, totally restored, in a panoramic site, on the hills of Borgo a Mozzano, Lucca. 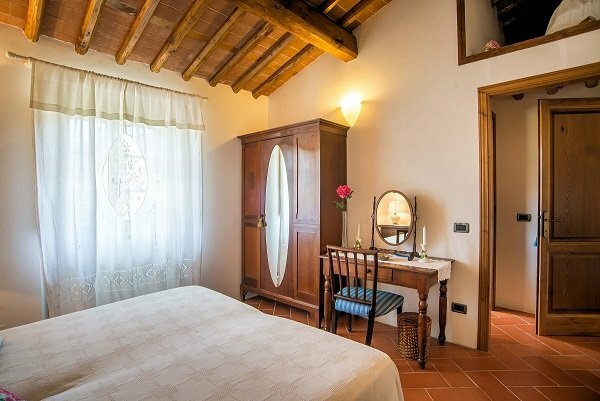 The interiors can be used both for residential use and for a holiday house. 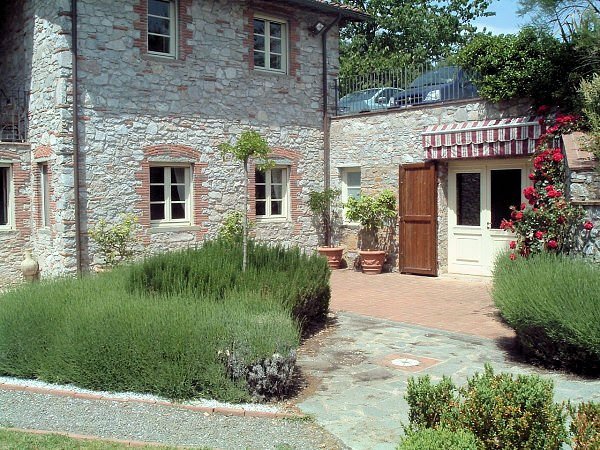 There are 5 bedrooms, each with its bathroom, 3 bedrooms are on the first floor and 2 are in the ground floor. 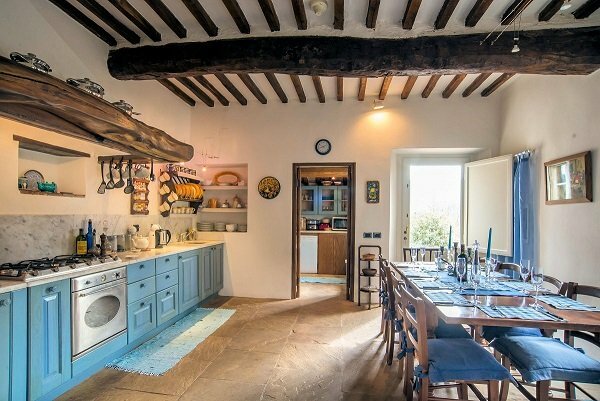 The kitchen is divided into a cooking/dining area and an adjoining room suitable for food preparation and storage, a living room with a fireplace. 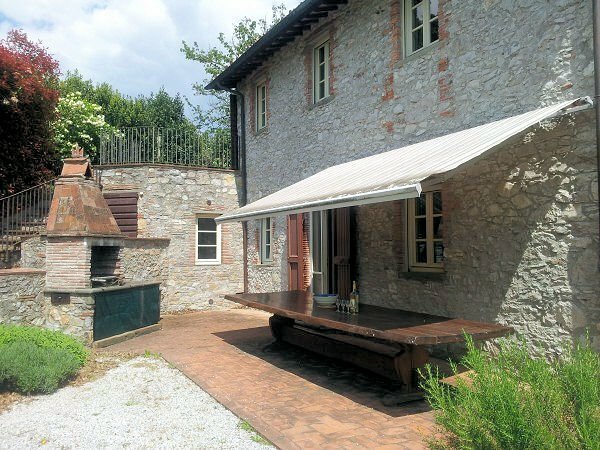  Other services are located in a room where there is a washing machine, hot water tanks and space for an office, a laboratory and a warehouse. 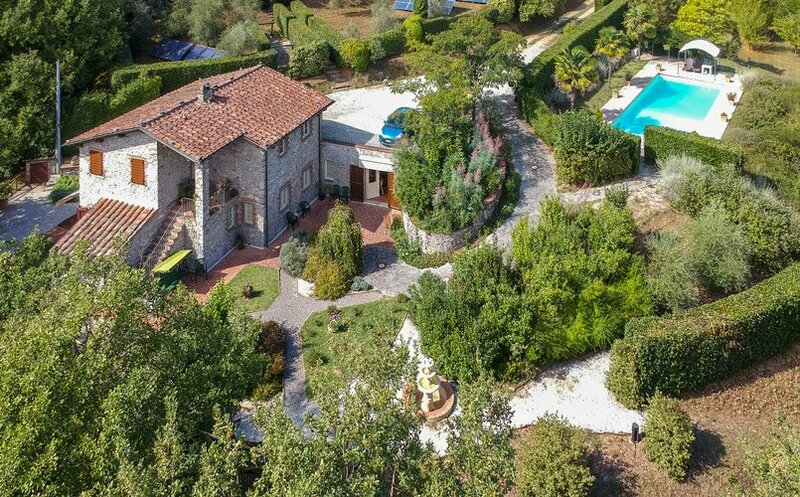 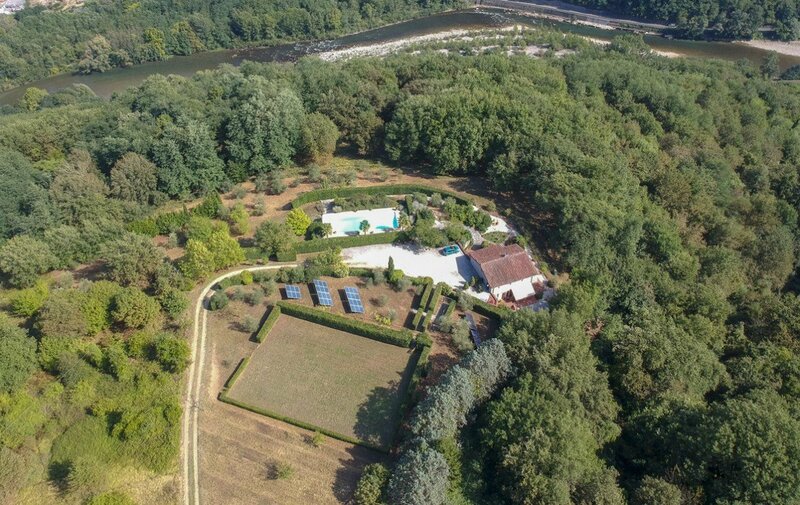 The house is surrounded by a plot of land of about 10,000 square meters. 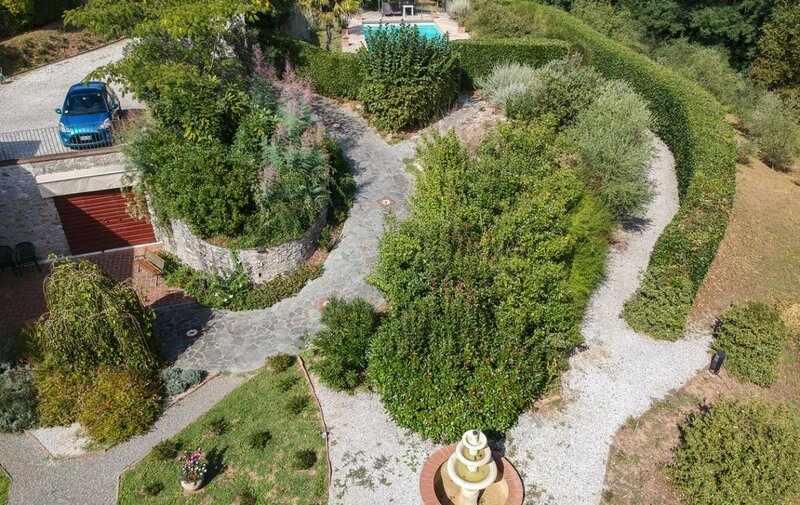 The garden around the house has been designed to provide different areas of activity: a garden with a fountain on the east side of the house; patio area on the west side where a huge solid wood table and a barbecue provide the right setting for lunches, dinners and outdoor parties; A playground grass with an irrigation system on the ground; Ample parking; an area, protected from view, where a photovoltaic system was built, a solar thermal plant for the production of hot water, a satellite dish and an area equipped to dry linen in the sun; a beautiful and panoramic swimming pool fully automated and very easy to keep clean. 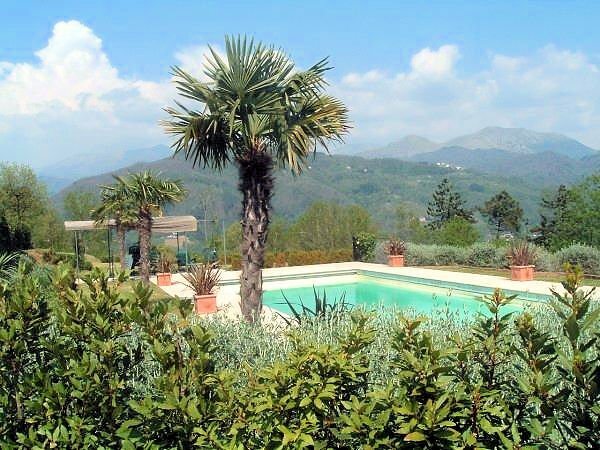 Length 14.5 m, width 5.5 m, depth between 2.4 and 1.2 m. An electro-hydraulic cloth can cover it in just 40 seconds by simply pressing a switch, there are underwater lights and the pool is flanked by three palm trees that can be lit by spotlights. 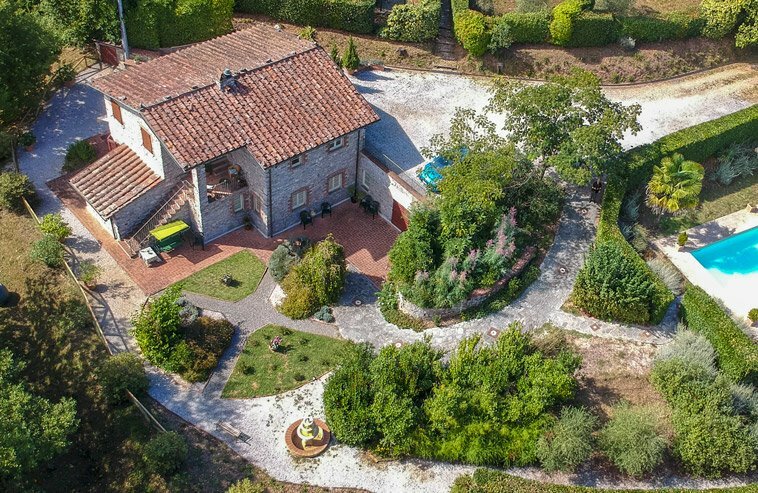 A small one-lane road leads from the main road at the beginning of the private driveway and ends shortly after passing it, this means that there is no traffic and pollution. 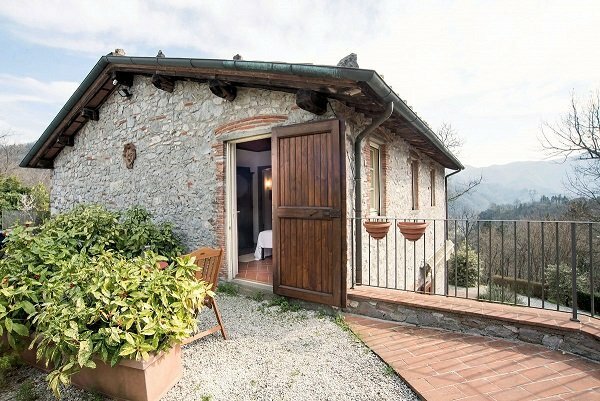 In a few minutes drive you reach the center of Borgo a Mozzano where present all the shops and facilities of daily use, including a supermarket and gastronomy, banks, pharmacy, medical center, police station, post office, railway station, open-air theater, restaurants, bars. 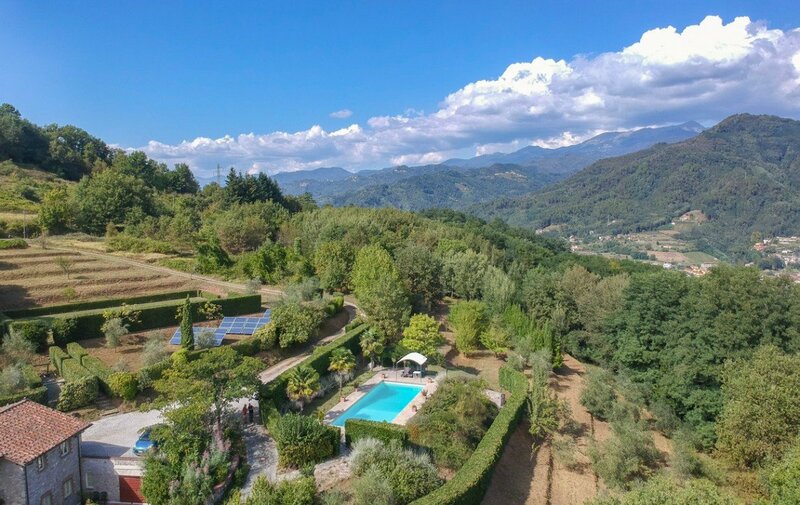 The village has a soul and is surprisingly dynamic: every year there are several festivals including the Azalea Festival in April, a river beer festival in July, a big Halloween festival on October 31st, as well as outdoor summer concerts and other performances. 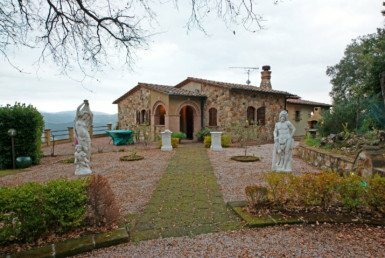 of Lucca can be reached in half an hour.